From now on, a password will be required in order to view Daughtry live streams. We want to keep these streams exclusive to fan club members and this extra layer of protection will help to ensure that only members are able to view these awesome live streams. The password is posted in all fanclub members' account dashboards. 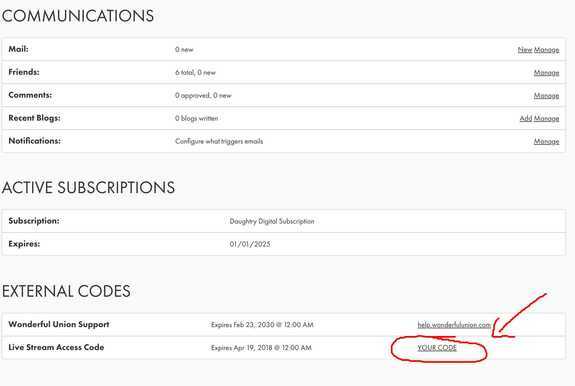 Under the heading EXTERNAL CODES you'll see a Live Stream Access Code. You'll just need to enter the code on the live stream page. 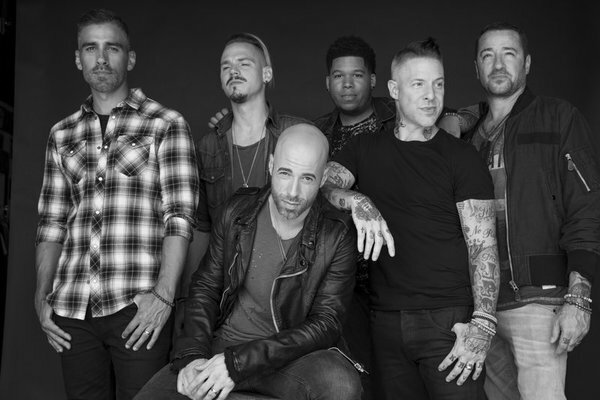 *Please note that you will need to login to your Daughtry Fan Club account first, and then enter the live stream password on the streaming page to view the live stream. Thank you for archiving the live streams. It’s fun to watch the stream of a show that I attended. The April 11 show has not been archived yet. Will it be? Thank You for the heads-up. I think this is a GREAT idea! I didn't know you had to pay to become a member.